OmniPapers is a multifaceted, high-quality, online homework provider that prides itself on the basis that each piece is created with utmost excellence and quality. How much does OmniPapers cost? Each customer requires a different length and difficulty of work; therefore, pricing is different for different orders, and as such will be varied. For this reason, we are unable to provide a standard pricing form. Requesting a quote from OmniPapers is free; however, once the order is confirmed, the customer is required to to send the payment. If the customer is not satisfied, our money-back guarantee will assist in situations as such. Our only free service is a free homework assistance group at our discord. OmniPapers is absolutely legal. 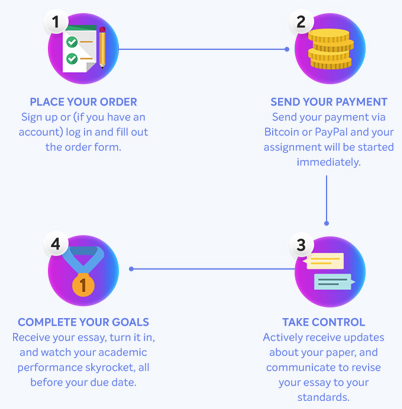 OmniPapers simply provides students with research assistance and writing samples to help them with their essay assignment. OmniPapers also has no tolerance for plagiarism. How to place an order at OmniPapers?